Free-Range means my pigs roam as they please. They build muscle over time as they climb the hills on the smallholding. Being Rare-Breed means the animals are perfectly suited to our climate and thrive outdoors with their snouts in the soil. 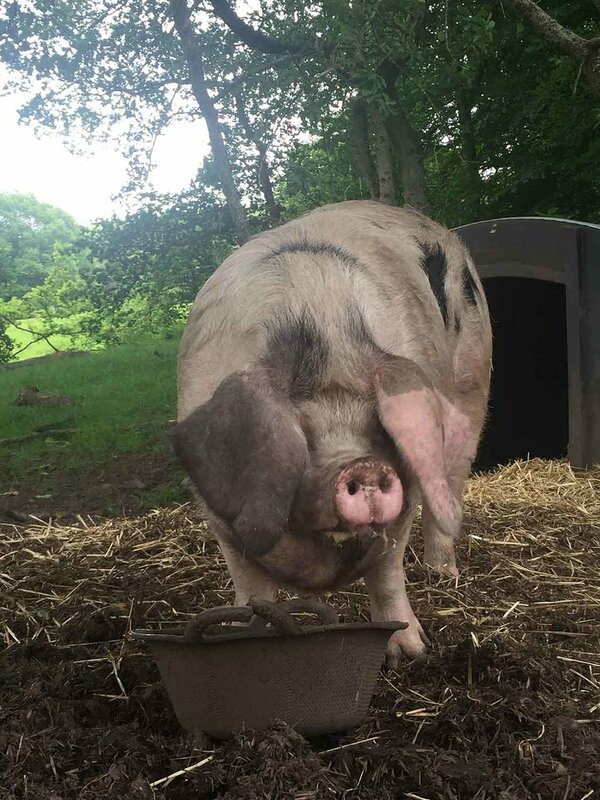 Rare Breed pigs have a greater fat percentage than commercial pork you’ll find in a supermarket as the trend has been to treat fat as the enemy. It isn’t and it is necessary for flavour. The comment I hear most is that the meat I produce tastes like they remember it tasting many years ago. In terms of taste, free-range, Rare Breed meat gives you three great benefits– it’s richly flavoured, darker meat quite unlike supermarket meat, it has the best crackling you’ve ever tasted and you won’t need additional fat or oil to stop it drying out in the oven. We don’t do grey cardboard pork chops here! I am lucky to have a local abattoir 15 minutes away. My meat is hung for flavour, professionally butchered, vacuum-packed, weighed and labelled Joints like shoulder, loin, leg and belly are boneless. This means what you’re paying for joints, is for meat and not the weight of bones. However, if you do like your meat on the bone, we’re happy to supply that too. 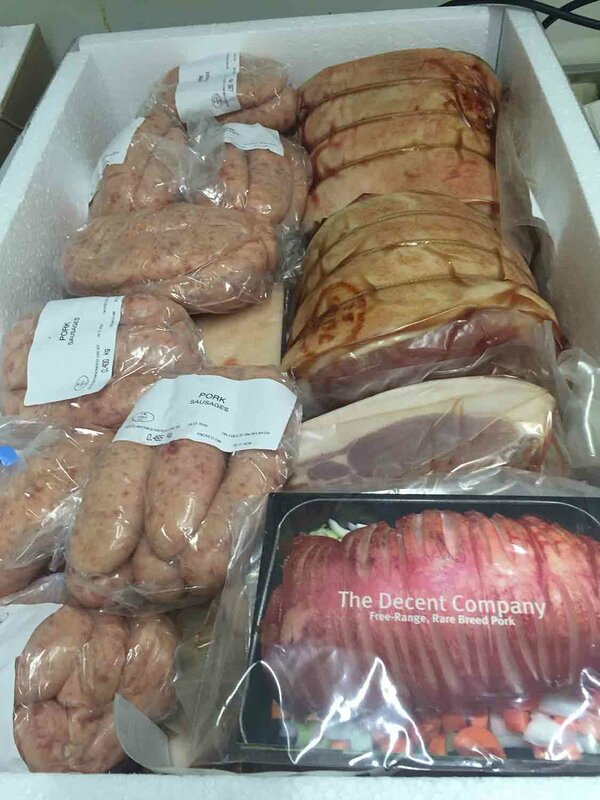 The meat will arrive with you, chilled and in an insulated box. It’s ready for you to cook or put straight in the freezer.